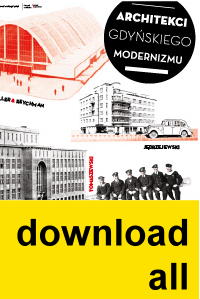 This route enables us to get to know Gdynia where Downtown meets the port, to discover diversified character of Gdynia modernism and the range of talent of the outstanding architect Wacław Tomaszewski, who designed six buildings along the route. 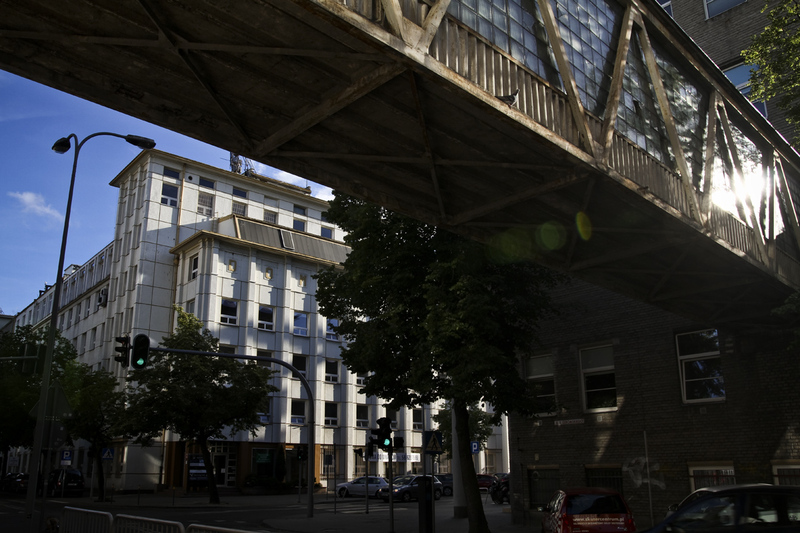 The route begins at the post-war building of the City Railway Station (Dworzec Kolejowy/)which is regarded to be one of the most interesting projects in Poland (now under renovation). 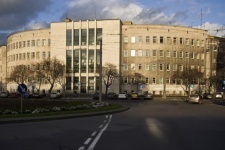 In the Constitution Square (Plac Konstytucji) near the railway station there also is District Court Building, one of the most effective public buildings in Gdynia. The building attracts attention with its curved, semicircular body. Its greatness also lies in its perfectly retained interiors: halls and corridors which include among others original furniture and door frame-woodwork. The buildings which house the State Institute of Meteorology (Państwowy Instytut Meteorologiczny) (with its modernist, steel measurement tower towering over it), the Polish Sailor's House (Dom Marynarza Polskiego) (now Fisherman's) and Fire Brigade are in the art-deco style. Two other buildings along the Route, in the vicinity of the Fisherman's House, represent a completely different style. Swedish Sailor's House (Dom Marynarza Szwedzkiego) is an interesting example of late functionalism which initially used to house a hotel, a Swedish consulate and a chapel. 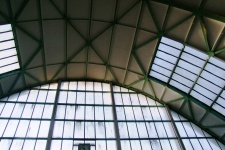 One of the best examples of constructivist architecture in Polish interwar architecture is the building of the City Covered Market (Miejskie Hale Targowe – MHT), which refers to the achievements of the French engineers such as e.g. the hall in Orly. At number 1 Plac Kaszubski there is an impressive modernist tenement house with photogenic, rhythmical offsets and corner balconies. The tenement house at 13/15 Portowa Street, which attracts your attention with its three tows of three-storey bay windows, is equally interesting. While walking towards Żeromskiego Street you must step by for a coffee at a climatic "Café Strych" located in a former fisherman house. Żeromskiego Street will lead us to the YMCA building, designed just after the war, founded by the American YMCA. The building draws attention with its brick façade, a row of round windows – bull's-eyes, and a daring use of glass bricks from the side of the Żeromskiego Street. Just opposite the entrance to the YMCA building there is a stunning "crystal" building of Arbitrary Chamber of Cotton (Izba Arbitrażowa Bawełny), with its bright elevation decorated with a sign "Dom Bawełny" (House of Cotton). Further walk along Żeromskiego Street, after 100 m, we will find an interesting, post-war modernist building of The Navy Canteen (Kantyna Marynarki Wojennej). From the Puławskiego Street's side the building seems to be very dynamic because of the aerodynamic corner balconies. The ship-like character of the building body is also highlighted by ventilation "funnels" which are deceptively similar to the ones we find on ships.